We now will continue in our review of UNDERSTANDING CHRISTIAN ZIONISM! Something that must be understood is that Christian Zionism does not stand upon the sentiment and affinities of Christians towards the Jewish people and the land of Israel; rather it stands upon the extraordinarily clear teaching and prophecies of Scripture (and Scripture alone!). There are many that accuse 'Christian Zionists' – I prefer the term 'Bible-believing Christians' myself – of endorsing and promoting war (against Muslims, etc.) by Israel and a hatred towards those who hate Israel. Speaking for myself, and those that share my views, we hate no one (with the exception of Satan and his kingdom of darkness), but we do hate the deeds, practices and religion of Muslim people insomuch as these are the means by which an unjustified hatred and persecution of Israel persists. I have never once observed Israel's actions to “drive the Muslims into the sea” or declare: “No negotiations with Muslims, no peace with Muslims, no Muslims!” whereas I have seen both of these things being repeatedly and feverishly declared without apology by Muslims who feign some misbegotten 'right' to the land that had always belonged to Israel since long before the time of the Anitquities. I think its rather obvious to any one who thinks this through, that its most difficult for one to establish peace with any people who have sworn the annihilation of that one, regardless of any well intentioned overtures and extensions of harmonious peace. We who understand God's Word and plan for Israel, stand with the Jewish nation because of God's love for them, His faithful promises made to them, and His valiant protection and blessing upon them. And so, without further ado, let us continue . . .
CHRISTIAN ZIONISM - It was 4:00 pm on a Friday afternoon, May 14th 1948 when Israel was officially declared a nation by majority vote of the U.N. Members. Regardless of the fact that such a Socialist, anti-Bible organization as the United Nations was the vehicle used to bring political recognition and sanction to the State of Israel, this was a partial fulfillment of prophecy (IS. 11:11) and an unprecedented event. No where else in the pages of history was there ever a people who were disbanded from their homeland for well over 18 centuries that managed to retain their cultural and social identity, to say nothing of their religious faith only to regain that land as well as their national language and self-governing political entity! Up until that time, many Christian expositors relented of ever seeing Israel return, though there were a few that held on to the prophecies and expected the Jews to return to the land of their fathers, and these stalwart saints rejoiced to see the day arrive, further proving God's faithfulness to His Word! These became the valiant Zionists that favored Israel because of God's grace and promises granted to her and has been rightly termed, Christian Zionism. The 'any moment', pre-tribulation Rapture of the Church. The thousand year reign of Christ on Earth (Millennial Period). *The term Great Tribulation specifically refers to the latter half of the seven year period known as the Seventieth Week of Daniel, however the entirety of those seven years has been colloquially referred to as 'The Great Tribulation Period'. He later elaborates on Christian Zionism as being a movement long held by believers who hold to a literal view of eschatology, but that there is a newer movement from the 'Christian left' whose liberals are frequently supporting and working for any cause that promotes social justice and defends the oppressed (which would include Jews who were long persecuted by Muslims, and (eastern) Europeans) but that these are not to be equated with those whose reasons for supporting Israel are based upon Scripture and God's promises made to that distinct nation. While the church is certainly included in “Abraham's seed” (per GAL. 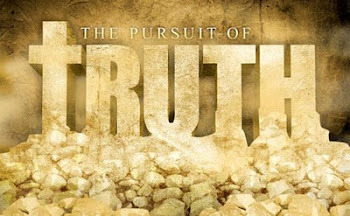 3:29), the church is not a part of Israel nor a recipient of promises made specifically and exclusively to her; but rather a partaker of salvation by faith in the Messiah as that group of Gentiles, chosen from among the nations of the world to inherit eternal life and citizenship in the Kingdom of God. ROM. 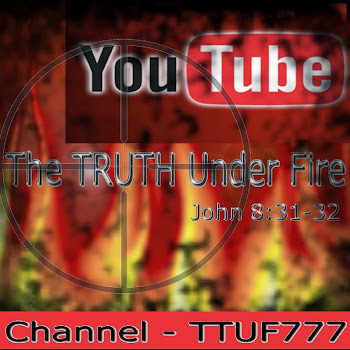 11:26 addresses the salvation of Jews, both individually but also nationally when the LORD Jesus Christ returns the second time to defend Israel and to rule her as the indisputable King of Israel. This flies in the face of expositors that adhere to Replacement Theology (such as Charles Provon and his landmark work that changed the minds of many among professing Christians regarding the church and Israel, The Church is Now Israel. It is a strange manipulation among Replacement theologians who will claim the spiritual blessings of Israel as the church's own, while insisting that the nation of the Jews retain the spiritual curses and chastisements as listed in DEUT. 28. THE LAND OF ISRAEL – It's amazing that for centuries, the Jewish people have been scattered (diaspora) over all Europe, the Middle East, America and elsewhere, and despite this, they've maintained integrity in their blood lines*, keeping their family lineage, and have had a 'Holy-land' centered faith, looking for the day that they will return to the land of Israel. For these Jews, as well as Christian Zionists believe that here is a three fold aspect to Zionism: the Jewish people, the land of Israel and the city of Jerusalem. “The interrelationship between the people and the Land is said to be the key which unlocks the prophetic secrets. As the body is adapted and destined for the soul, and the soul for the body; so is Israel for that country and that country for Israel.” ~ Johan Kurtz, History of the Old Covenant (pub. 1859). “Palestine will never belong, by any real right of possession, to any people but the Jews . . . When the Jews repent and accept the LORD Jesus they will be given bot only Palestine but also all the rest of the great Land of Promise, and it will be a blessing in the midst of the whole Earth.” ~ Carment Urquhart, 1945. Both Israel and the city of Jerusalem is 'ground zero' for God's dealings with the people of Earth; they are the veritable stage upon which God is unfolding His plan for humanity, and an integral part of this plan is establishing His kingdom where the Messiah will reign over His people Israel as well as all the world, and nothing could (or should) stand in the way of this plan! “Christian Zionists cite the Abrahamic Covenant as the basis of Israel's right to possess the Land, claiming that God's promises to Abraham was 'quite specific and unambiguous' having been sealed by an unconditional and everlasting covenant (GEN. 12:7; 15:18-21; 17:6-8; 26:3; 28:13-15; HEB. 6:13-17). Murray Dixon notes that 'God was the sole signatory to this covenant, since only He passed through the animal pieces (GEN. 15:12-21). The inference drawn from Ancient Near Eastern custom is that in so doing, God invoked a curse upon Himself, should He ever break His promise. Tatford adds that “No provision was made for its revocation and it was not subject to amendment or annulment. 55 As he spake to our fathers, to Abraham, and to his seed for ever. (see also Luke 1:30-33; also Gal. 3:17-18; Ezek. 36:22-23). If as supersessionists believe, the Abrahamic Covenant was conditional, then according to George Peters, “everything is conditional; then the foundations of Christian hope crumble away beneath us, and nothing stable remains.” (emphasis in original). One could argue the fact that if Israel was rejected because of her failure, and replaced by the church, what prevents God from rejecting the church because of her failures as well? When over 40,000 Jewish exiles returned to their land from Babylon (EZRA 2:64) there were some that saw this as the restoration in fulfillment of prophecy but according to JER 16:14-15; and 23:7-8 there would come an exodus “from the north and from all the lands where [God] had driven them” which would prove far greater than even the exodus from Egypt during the days of Moses. And since the re-establishment of the nation in 1948 a steady and even dramatic increase in Jewish immigration back into the land has been observed (particularly the mass exodus from Russia in '91m, bringing three quarters of a million Jews to Israel). Russia is the nation typically associated by biblical scholars as “the land of the north” (JER. 16:15; 23:8 and EZEK. 38th and 39th Chapters) and its rather obvious that the tremendous immigration of Jews came from all over the world, in addition to the USSR. May 1839 – approximately 9,690 Jews in the land. By the year 2006 – 5.24 million Jews living in the land. Along with the increased population, it should also be noted that the land itself has been revived remarkably, and some would even say miraculously, so that much of Europe is readily supplied with food imports from Israel. This is incredible when one considers that for the better part of two thousand years the land was a waste land of deserts and swamps and in only a couple of generations, the land has blossomed, been transformed in fact into the lush and productive nation that we see today. 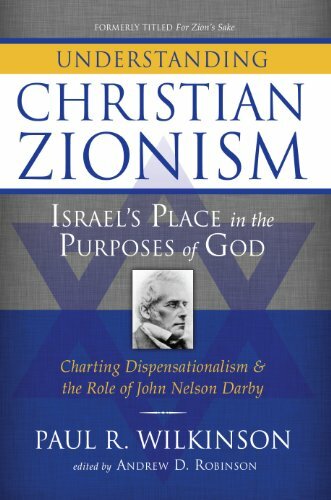 Here ends the second installment of our detailed review of UNDERSTANDING CHRISTIAN ZIONISM by Paul Wilkinson. Next time we will look at the revival of the Hebrew language, the Magna Carta of Christian Zionism, the Prophetic clock of World History, anti-Christ and the Third Temple, among many other pertinent things. Until then, the LORD God of Abraham, Isaac and Jacob keep you in His grace and truth!